Legitimised by a language of sovereignty, greater border controls are part of an emerging containment era in which Africans’ movements – not only towards Europe but even across the continent – are becoming pathologised and criminalised. There are continental variations. Some countries and sub-regions are less committed to control than others, but so-called containment development is undeniably on the rise. In this new developmental mode, success is measured primarily by the ability to keep people at home. Critics of this approach focus heavily and justifiably on the migrants condemned to camps and detention centres, and the growing numbers who die before reaching their destination. Others note the extraordinary growth in a range of unsavoury professions: smuggling, kidnapping, and trafficking. Although often tinged with an alarmism driven by moral outrage or professional interest, these stories of exploited people and extinguished lives need to be told. Yet focusing exclusively on the migrant victims of new containment technologies and practices, risks overlooking their implications for the continent’s governance and all Africans’ human rights. At the very least, the kind of bilateral arrangements various African countries are signing with the EU will scupper African Union plans to promote easier and safer movement within the continent. They will similarly curtail free movement policy proposals circulating within sub-regional economic communities. In place of multilateralism, we are likely to get stronger militaries and more authoritarian leaders. Indeed, directing aid and weapons to existing leadership in the region will almost certainly erode democracy and heighten insecurity and instability. The EU’s new migration-linked development aid emphasises the need to create local opportunities so people need never move. The results are likely to be increased investment in rural areas. While not in itself a bad thing, such spending will be distorted by the desire to fix people in place. African leaders may care little about migration towards Europe, but under these new agreements they risk losing aid money if they fail to control populations within their borders. And ongoing urbanisation can also present a political challenge to their power. Maintaining people in situ – not only within their countries but within “primordial” rural communities – helps maintain systems of ethnic patronage and prevents unruly urbanites from protesting at the presidential gates. Securitised border management of the kind South Africa is mooting is a gateway to the kind of containment strategies the EU is promoting. Within this new paradigm, millions will be detained in facilities across Africa or condemned to die along land and water borders. Smuggling, trafficking, and corruption will blossom in place of trade that could increase prosperity. Overseeing this will be politicians empowered by military aid windfalls and a global community without the moral authority to condemn their human rights abuses. South Africa’s National Assembly recently passed a bill to set up a new border management agency. The Border Management Authority will fall under Home Affairs, a government department long distinguished by its lack of respect for immigrant and refugee rights. But there are other, deeper causes for concern. Whereas previously, police and customs officers were under strict (if not always effective) civilian oversight, this new agency will be able to circumvent constitutional constraints. Broader changes to immigration and asylum policies are also in the works, such as a “risk-based” vetting system that could be used to justify barring most people from entering the country overland. Bolstering these efforts are plans to detain asylum seekers at processing centres dotted along the border. South Africa’s new border management strategy has equivalents across the continent that likely do little to prevent smuggling and human trafficking or to stop terrorism – the justifications often used for such securitisation. Instead, they help reinforce authoritarian leadership and undermine regional governance initiatives. In the longer term, they are likely to impact development. Free movement – within countries or to neighbouring areas – is central to people finding work and surviving in these precarious times. Constraints on such movement, whatever the source, are fundamentally anti-poor and anti-freedom. They treat migrants as suspected criminals, rather than as people legitimately seeking protection or employment. Many of these policies are being implemented with aid from the European Union and strong domestic support. Countries like Eritrea already maintain a repressive “exit visa” system while Central African Republic, Ethiopia, Niger, and Sudan are all planning enhanced border management strategies, including bio-metric tracking and militarisation. Militarising the margins has become an integral plank in the continent’s new approach to “migration management”. Following the Valletta Summit in late 2015, the EU created a trust fund that is funnelling billions of euros of development aid through bilateral arrangements with African states, including those with appalling human rights records, such as Sudan and Eritrea. Legitimised by a language of sovereignty, greater border controls are part of an emerging containment era in which Africans’ movements – not only towards Europe but even across the continent – are becoming pathologised and criminalised. There are continental variations. Some countries and sub-regions are less committed to control than others, but so-called containment development is undeniably on the rise. In this new developmental mode, success is measured primarily by the ability to keep people at home. While the Economic Community of West African States (ECOWAS), already has a working protocol, it has been compromised by fears of terrorism and EU-funded programmes to deter migration through the region. In the Southern African Development Community (SADC) and the East African Community (EAC), proposals modelled on the ECOWAS framework are now less likely to move forward. This domesticates politics in ways that weaken the regional governance mechanisms needed to address collective development concerns and negotiate more favourable global trade positions. In place of multilateralism, we are likely to get stronger militaries and more authoritarian leaders. Indeed, directing aid and weapons to existing leadership in the region will almost certainly erode democracy and heighten insecurity and instability. What is perhaps most worrying is how emergent border management approaches are likely to extend and proliferate beyond borders. Efforts promoted by the EU, with complicity from many African leaders, effectively seek to limit movement and freedom across and within countries. Europe fears that any movement – typically towards cities – will beget further moves, some of which will be towards the European motherland. The vast majority of Africans who have no European fantasies will live in decreasingly democratic countries. The African Union and regional campaigns promoting development through accountable institutions and freer movement will also likely lead nowhere. The results – heightened inequality within and between countries, along with increased poverty and likelihood of conflict – will create precisely the pressures to migrate that Europe hopes to contain. 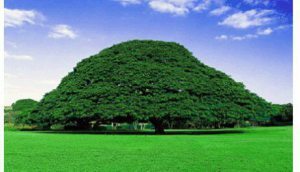 Posted by OromianEconomist in Africa, Africa Rising, Agriculture, Aid to Africa, Development, Economics, Economics: Development Theory and Policy applications, Food Production, The Colonizing Structure & The Development Problems of Oromia, Uncategorized. Against the dysfunctional dependency foreign assistance, Clare Lockhart in World Affairs argues for cheaper, smarter and stronger aid that creates self-sufficiency. Putting these “Fish for a Lifetime” approaches into effect will require some major shifts. It will involve looking not to how much money was disbursed, or how many schools were built, but to value for money and return on investment. And instead of propping up a vast technical assistance industry of varying and often indifferent quality, a higher priority will be placed on conducting a “skills audit” of key personnel—from doctors and teachers to engineers and agronomists—who can be trained internally rather than importing more costly and less invested technical assistance from abroad. But a strategy is only as good as its execution. Implementing development policies and programs correctly will require a clear-eyed look at the way programs are designed and implemented, and a re-examination of the reliance on contractors. There is no substitute in the long term for unleashing a society’s domestic potential of human, institutional, and natural capital through a well governed country. In 2002, during the early stages of Afghanistan’s reconstruction process, I sat in a remote part of Bamiyan Province with a group of villagers who told me how excited they had been several months before, when a $150 million housing program from a UN agency had been announced on the radio. They felt the program, which promised to bring shelter to their communities, would transform their lives. They were shocked, however, to discover soon after that this program had already come and gone—with very little change to their lives. Indignant, as well as curious, they decided to track the money and find out what had happened to the program that, as far as they were concerned, had never been. Becoming forensic accountants, they went over the files and figures and found that the original amount granted by the UN had first gone through an aid agency in Geneva that took twenty percent off the top before sub-contracting to a Washington-based agency that took another twenty percent. The funds were passed like a parcel from agency to agency, NGO to NGO, until they limped to their final destination—Afghanistan itself. The few remaining funds went to buy wood from Iran, shipped via a trucking cartel at above-market rates. Eventually some wooden beams did reach the village, but they were too heavy for the mud walls used in construction there. All the villagers said they could do was cut up the wood for firewood, sending $150 million literally up in smoke. With examples like this, it’s really no surprise that a growing chorus of commentators claims that foreign development is expensive, ineffective, and often resented by the intended beneficiaries. In The White Man’s Burden, for instance, William Easterly provides a searing critique of this do-good mentality, which he shows often causes more harm than help. In The Crisis Caravan, Linda Polman documents the unintended consequences of humanitarian assistance. In Dead Aid, Dambisa Moyo argues that aid serves to fuel corruption and lack of accountability among elites. Critics of US assistance build on this narrative to paint a picture of an America overstretched and in decline, wasting money abroad in a futile effort to serve its uncertain foreign policy objectives, and call for cutbacks and disengagement. The US has spent $100 billion in nonmilitary funds to rebuild Afghanistan. Yet, after a decade of mind-bending mismanagement and unaccountability, it seems all for naught. But this criticism misses an important distinction: it is not the principle of engagement, but the way many development projects work that has led to failure. There is, in fact, an alternative way of engaging abroad to promote stability and prosperity with more lasting effect and at a far lower cost than what has become a discredited status quo. This alternative approach recognizes that there is no shortcut to development that circumvents the citizens and governing institutions of the country. It recognizes the prominent role of entrepreneurial and civic activity. It demonstrates an understanding that institutional change requires years, not months. It has been practiced by a number of farsighted development programs that have reinforced principles of partnership and local ownership of the policy agenda. This “Learn to Fish for a Lifetime” model seeks to build up local institutions that provide security, good governance, and other elements of self-sustaining economic growth. It takes advantage of the things that America knows how to do well: mobilizing investors, firms, universities, and other potent but underused tools that leverage private capital to deliver a kind of development that far outlasts the initial intervention. Many of the activities undertaken with this model actually generate enough revenue to pay back the initial investment, meaning that foreign development projects could someday operate at or close to “net zero” expenditure to the US taxpayer, a particularly appealing prescription in an era of harsh fiscal realities. Putting “Fish for a Lifetime” approaches into practice, however, requires rejecting the prevailing approach, which makes for a complicated and ultimately self-defeating operation, in favor of one that emphasizes return on investment, both financially and in terms of improved conditions on the ground. My own wake-up call to the yawning gap between the intentions and impact of major development programs came in that remote part of Afghanistan, soon after the Taliban had fled. Stories similar to the one I heard have been documented by the US special inspectors general for Iraq and Afghanistan reconstruction. But it is not just in combat zones where billions of taxpayers’ funds have created disappointment. After Haiti’s tragic earthquake in January 2010, world powers promised to “build back better” and citizens internationally joined them in committing billions of dollars to that country’s reconstruction. Aid programs in Haiti were notoriously dysfunctional even before the earthquake, but in the scramble to provide help after the catastrophe, funds and opportunities were squandered on an even grander scale. More than three years on, results have fallen far short of the promise. It is what one commentator and Haiti expert, Jonathan Katz, bleakly referred to in the title of his book on the aftermath of the earthquake: The Big Truck That Went By: How the World Came to Save Haiti and Left Behind a Disaster. As Mark Schuller documents in his book Killing with Kindness, foreign donors directed the money to a network of NGOs that bypassed the Haitian government’s policy framework and the implementation capacity of its private sector, and thereby failed to meet the priorities of its citizens. Haitian organizations saw very little of the investment they needed to rebuild their society, but instead were overwhelmed by a vast aid machinery that parachuted down upon them with its own rules and priorities and complex bureaucracy. Failure, as Haiti showed, does not come from a shortage of money or goodwill. Rather, the aid business has been afflicted by a set of institutional pathologies that almost guarantee failure. Projects designed in national capitals and foreign embassies are often divorced from the realities of the local lives of the people they intend to help, while the long time frames and rigidity of design mean that by the time a project rolls out, it is often irrelevant, even if money actually arrives after the overhead is paid to the food chain of delivery organizations. Multiple contractual layers mean too much of the original project money never even leaves international capital regions—especially Washington. In Banda Aceh, Indonesia, analysts report how an NGO spent nearly $1 million of European Commission money on a project to construct eleven boatyards intended to stimulate the livelihoods of local fishermen, but in the end only created ten boats, none of them seaworthy. Somewhere along the way, incentives have become skewed. Project managers and contractors alike are monitored mainly for whether the money in their charge can be tracked, rather than for whether aid activities have any transformational power. For many aid agencies, moreover, running projects has become the goal, rather than seeking to foster institutions and build productive partnerships among governments, firms, and communities. The metrics track whether a project was completed and the money disbursed, not whether sustainable institutions were left after the money had come and gone. Finally, much of what has become standard procedure in the development business distorts local markets and displaces market activity. Every time a wheat consignment is distributed for free, for instance, local farmers see the market price for their locally grown wheat decrease. In Afghanistan in 2003, after a large-scale World Food Program wheat distribution, farmers threw up their hands and simply let their crops rot because aid had collapsed the market. Nor is it only farmers who are affected by thoughtless charity. Every time solar panels, water pumps, tractors, or cell phones are handed out for free, a local supplier can no longer sell and install his inventory, and a small business that might have long-range prospects for hiring and supporting several people is smothered. While the stories of what didn’t work in Afghanistan have grabbed the headlines, there have also been several examples of successful development engagement there. The National Solidarity Program in Afghanistan, for example, has directly reached more than thirty-eight thousand villages since 2003. Under its approach, a block grant, ranging from $20,000 to $60,000, goes directly to a bank account held by the village council, or Community Development Council. The village doesn’t have to apply for the funds, but if it wants to, it must follow three simple rules: elect or appoint the council, ensure a quorum of residents attend meetings to choose projects, and post the accounts in a public place. To date, the program has disbursed more than $1.6 billion, and the village councils have completed more than seventy thousand projects—roads to the local markets, water canals, and generators and microhydro systems that electrify the area. In one case, thirty-seven villages trying to combat the loss of women in childbirth got together and pooled their money to build a maternity hospital. In another case, one hundred and eighty-five villages pooled their money to create a watershed management system, vastly expanding the land they could cultivate. NGOs are involved in these projects as facilitators who support the village through the complex transactions that it must undertake, but unlike in the traditional model of development, they don’t hold the purse strings or oversee the implementation of projects. The US Agency for International Development is now part of an international consortium that contributes to the program costs. Similar projects exist at even greater scale in Indonesia and Pakistan. In Indonesia, the National Program for Community Empowerment (PNPM) works in more than eighty thousand villages across the nation. The program formed in 1998, in the wake of the Asian financial crisis, with the imperative to benefit communities directly with cash. Neither the government’s social safety nets nor the NGOs could do this alone, and so a partnership between governments and communities was established. Over time, the program has evolved to include micro-finance and other investment facilities, barefoot lawyers programs, and the construction of schools—all managed directly by the villages themselves. According to official numbers, one of the PNPM programs, PNPM Mandiri Rural, reached four thousand three hundred and seventy-one sub-districts by 2009, and saw the construction or rehabilitation of ten thousand kilometers of road, two thousand and six bridges, two thousand nine hundred and eighty-six health facilities, and three thousand three hundred and seventy-two schools, in addition to the construction of public sanitation facilities and irrigation systems. These projects increased per capita consumption gains by eleven percent and reduced unemployment by one and a half percent. PNPM can accomplish all of this because of an open planning process by which projects are targeted to meet demand as expressed by the community rather than by officials thousands of miles away. In a similar operation in Pakistan, the Rural Support Programs Network (RSPN) partners with three hundred and twenty thousand community organizations, covering five million households and thirty-three million people. These organizations have led responses to the earthquakes and floods, organized micro-finance and health insurance schemes, and built and operated schools, clinics, roads, and hydropower schemes. This family of homegrown programs in Afghanistan, Indonesia, and Pakistan, and similar ones in Colombia, Mexico, and India, have proven it is possible to reach communities directly and at scale, cutting out the layers of contractors and NGOs that function as middlemen, while making communities the implementers of their own development in projects that achieve real results. We really don’t need to look far afield to find approaches that work. There are a number of distinctly American approaches to development that have delivered in the past but have fallen unaccountably into disuse. Take the Economic Cooperation Act of 1948, a framework that for a while worked exceptionally well, but whose practices have been strangely forgotten in recent decades. At its core was the idea of facilitating “the achievement by the countries . . . of a healthy economy independent of extraordinary outside assistance.” The act’s programs, including the tremendously successful Marshall Plan, were geared toward the institutional and economic self-sufficiency of the recipients, with a central premise that the program could be judged a success only if it reduced the need for aid, rather than perpetuating it. Other lesser-known US development programs similarly brought impressive results with moderate or no cost to the US taxpayer. In the aftermath of the Korean War, South Korea had one of the lowest GDPs on earth, but between 1966 and 1989, it raised its GDP by an average of eight percent per year. Behind this story lies a dedicated effort to foster local capacity and industrial-led growth, backed by a US partnership. In 1966, President Lyndon Johnson agreed with President Park Chung-hee of South Korea to help establish the Korea Institute of Science and Technology (KIST) and assembled a team of leading scientists and technical experts to form and plan the institute. KIST aimed to nurture Korea’s own technical and managerial capacity to lay the basis for its economic transformation, rather than remain dependent on foreign management and input for its projects and companies. Korea is now one of a handful of nations that combine GDP per capita in excess of $20,000 with a population of more than fifty million people. The South Korean government and the US government each contributed $10 million to KIST at its founding, and Washington used a similar model when it helped establish the Saudi Arabian National Center for Science and Technology (SANCST) in 1977. Saudi funds went to the US Treasury, which in turn paid for the technical assistance required for the center and a range of other initiatives. Many of the best development initiatives are not directed by governments, but by the private sector and its use of market mechanisms. One example is the involvement of the Overseas Private Investment Corporation (OPIC) in the Afghan telecom sector. In 2002, Afghanistan had sparse telephone coverage, with access only either through a small number of fixed lines or very expensive satellite coverage. 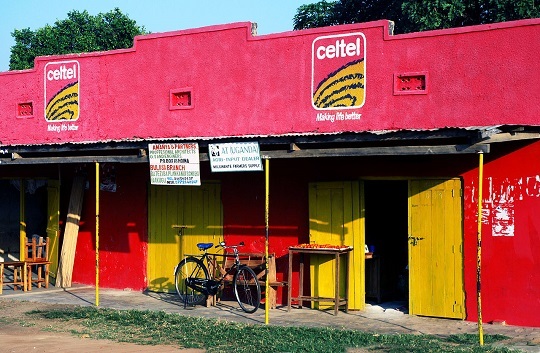 The UN proposed that the telecom sector should be addressed through an aid-driven approach, whereby funds would be used to contract with a major cell phone provider to set up services that would provide coverage to key embassies and aid agencies, at an estimated cost in the tens of millions of dollars. But, in line with how cell phone services are organized in any developed country, it was decided instead that rather than being paid by the government or aid agencies, the telephone company would bid for the license to operate a commercial service, with the proviso that services include a certain level of coverage and standard of quality. The tender process went ahead. Several international companies registered their interest, but many expressed reservations about the level of risk they would be undertaking. This is where OPIC stepped in to draw up a risk guarantee for possible political and security problems. With an expenditure of just $20 million, this agreement provided sufficient confidence in the telecom sector for investment to proceed. By now, several billion dollars have been invested, more than sixteen million phones purchased, significant revenues generated via taxes to the Afghan government—and the $20 million guarantee was never called upon because the risks feared by the private companies never materialized. In this case, a risk instrument was able to pave the way for new market opportunities and to provide an essential service. Contrast that with the typical aid approach, which would have distorted the market, squandered money, and likely produced, at best, ambiguous results. A similar example came out of the Caribbean. Before 2007, individual insurance companies were reluctant to insure Caribbean islands for hurricane and earthquake damage, the liability being considered commercially too risky. But then the World Bank’s Caribbean Catastrophe Risk Insurance Facility (CCRIF) was created, pooling risk to enable governments in the area to purchase affordable insurance. CCRIF was designed to protect Caribbean countries from the financial fallout of a natural disaster, offering each country timely and flexible payouts. The group can respond more quickly and more efficiently to a member country in need than can the sort of chaos of good intentions that descended on Haiti, as was demonstrated in its response to Hurricane Tomas in 2010. Barbados, St. Lucia, and St. Vincent and the Grenadines received fifty percent of their payouts within days. In contrast to a top-down, statist aid paradigm, these “Fish for a Lifetime” approaches are all designed to unlock and leverage the value from within the society, state, and market. They all start with the operating principle of co-designing programs with the citizens and leaders from the country concerned. Where there is a market, they do not seek to use grant capital. Once the initial intervention is over, success is judged by whether or not the innovations designed for the crisis are sustainable. This approach is geared toward increasing the self-sufficiency of the country concerned, and in particular boosting its economy and generating its own revenue and tax base. While the treasuries of most Western countries may be afflicted by the constraints of austerity budgeting, there are vast amounts of private investment capital looking for opportunities. Many of the countries that are seen as the neediest destinations for aid are also considered by emerging market investors as the fastest-growing in the world—Rwanda, Nepal, Indonesia, and India. Infrastructure projects from power to roads and ports can and do attract private capital, and public funds can be used for risk guarantees or as co-investments rather than grant aid for these projects. Rather than seeking to maximize aid, such an approach seeks to maximize the return on investment to the society concerned. 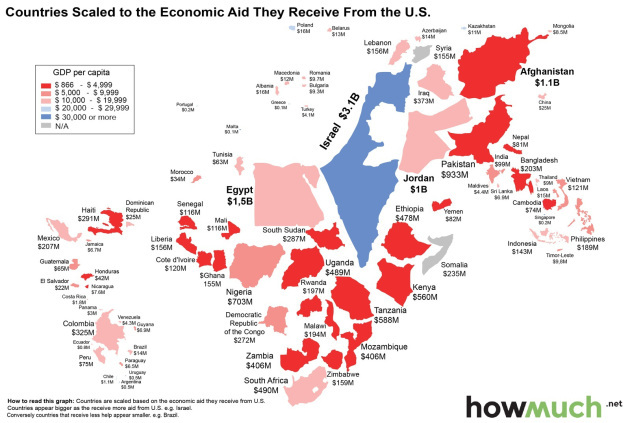 It is also important under this new paradigm to distinguish between “aid” (such as life-saving humanitarian assistance and the financial or material donations it requires) and “development engagement,” which is something quite different. Development engagement can be low-budget, and should be designed to move a needy country toward self-sufficiency—so that the state can collect its own revenues and the people can support their own livelihoods—as soon as possible. Many recipient countries have enormous untapped domestic resources, and with some effort devoted to increasing those revenues and building the systems to spend them, could assume much more of the responsibility of meeting their citizens’ needs. Getting the toolbox right requires instruments that can best support this approach: the OPIC, enterprise funds, chambers of commerce, public diplomacy, scholarships, international financial institutions, trade measures, and the National Academies, among others. Having judged the development programs of the last decade to be failures, many in the US now call for development budget cuts and wearily espouse isolationism. But it is a classic example of throwing the baby out with the bathwater. Failed methods do not mean that the goal of international development must be abandoned. Development needn’t be an indulgent venture in charity, or risky business, or a road to nowhere paved with good intentions. A more hardheaded approach, one that creates self-sufficiency rather than dependency, is the new beginning that the development world has been waiting for. Clare Lockhart is the coauthor, with Ashraf Ghani, of Fixing Failed States and the director of the Institute for State Effectiveness, an organization devoted to finding, documenting, and facilitating better approaches to engaging abroad.